The Department of Correctional Services with 67 Blankets for Nelson Mandela Day is gearing up to break yet another world record and it is taking place this month as Freedom Day is celebrated on 27 April. The initiative aims to beat the recent record set by India by laying down its largest blanket to date on 22 April at Drakenstein Correctional Centre in Paarl, Western Cape, where Mandela took his first steps to freedom on 11 February 1990. Jusuf Abramjee, Catherine Constantinides of Lead SA and Carolyn Steyn, Founder of 67 blankets at Steyn City. 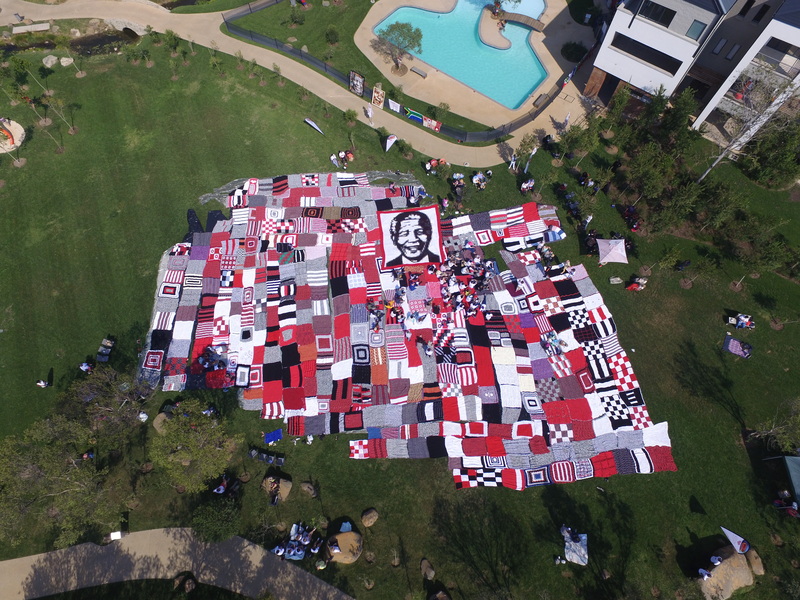 In 2015, a vibrant whirligig of colours graced the grounds leading up to the Union Building in Pretoria when the 67 Blankets initiative broke a world record with its 3377 square metre crocheted blanket, which was created by KnitWits for Madiba – an endearing name given to all of the dedicated people who crocheted and knitted squares for this remarkable project. Not only has the movement broken a record, it has also achieved Campaign of the Year status since its inception, just two short years ago in 2014. To top this, on 7 August 2015, Steyn signed an MOU with National Commissioner of Correctional Services, Zach Modise, formalising a partnership between the two institutions. This partnership meant that every correctional centre in South Africa would have the initiative introduced as part of their curriculum. “We take pride in this programme as it presents an opportunity where inmates across the country are giving back to society. Key to rehabilitation is empowering offenders with skills to function effectively in society upon their release. It is therefore encouraging to see more male offenders taking part in crocheting, an activity that has always been labelled to be feminine, yet it fosters discipline, patience and boosts self-esteem,” says Commissioner Modise. 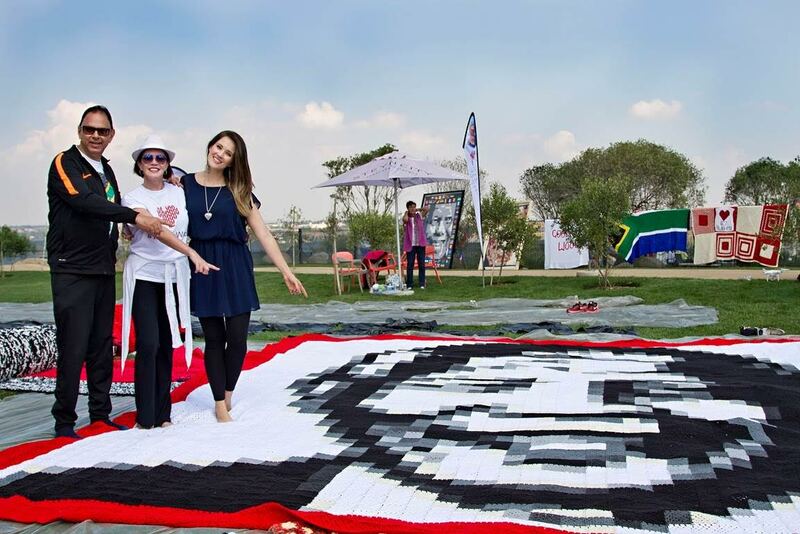 When former President Nelson Mandela’s assistant Zelda la Grange presented philanthropist Carolyn Steyn with the challenge to create 67 blankets to give to people in need, little did she know how the project would fly. 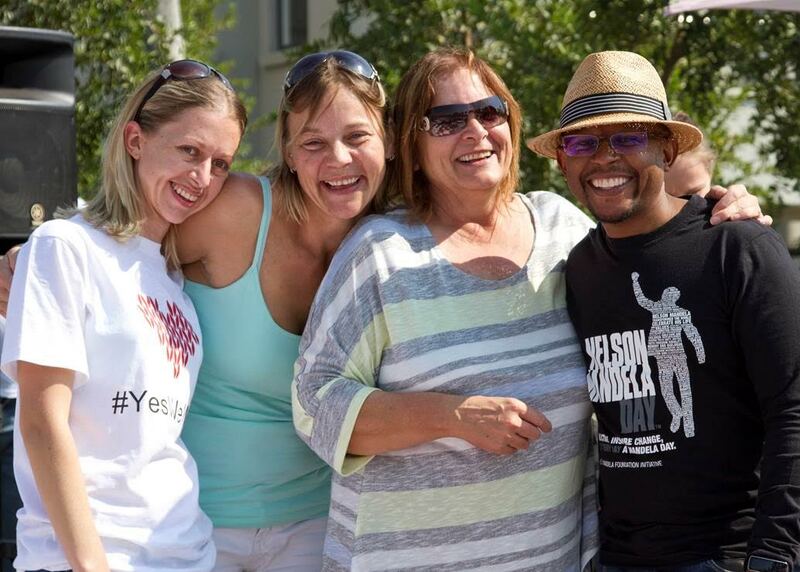 “The initiative gives hope for all South Africans to carry Mandela Day forward and help build a country of Madiba’s dreams,” says Sello Hatang from the Nelson Mandela Foundation. 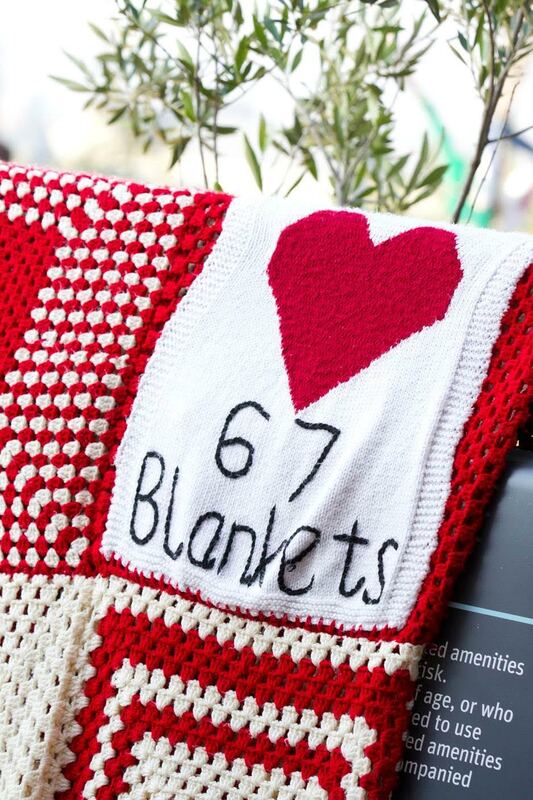 The project has since grown into an international movement with KnitWits for Madiba gathering from all corners of the world to knit, crochet or sew squares and ultimately create blankets to keep people warm in winter. “It is about knitting in the name of our greatest prisoner of all, Nelson Mandela. ‘Knitting broken lives together’ is the rallying call,” says Steyn. Weaving the fabric of our nation together with bright and colourful threads is a major milestone for Correctional Services as thousands of incarcerated South African men and women, proudly KnitWits for Madiba, play an integral part in helping break the new world record. Breaking this amazing Guinness World Book record at one of South Africa’s most legendary correctional centre has never happened before. “The fact that thousands of men and women serving sentences in South Africa will be largely responsible for keeping thousands upon thousands of people in impoverished communities warmer over all the winters to come, in the name of the greatest prisoner of them all, is not only momentous, it is also indicative of a healing nation,” Steyn says. Once this record breaking feat is achieved, the blankets will be returned to the provinces they came from and distributed to the poor and needy by 67 Blankets. Thanks to Airlink and Stuttafords Van Lines, the blankets will be transported safely. Also, all the donated wool has been tracked and blankets have been tagged so knitters know where their blankets have been handed out. This was made possible by AdvanceNet. Without the likes of South Africa’s inmates and all the other dedicated KnitWits across the globe, plus the generous anonymous donation amounting in 20 tons of wool, totalling around R7 million provided to the inmates, 67 Blankets would not be attempting to break such an incredible record. More importantly, the ‘goodwool’ initiative can now provide even more people in need with a little extra warmth this winter. 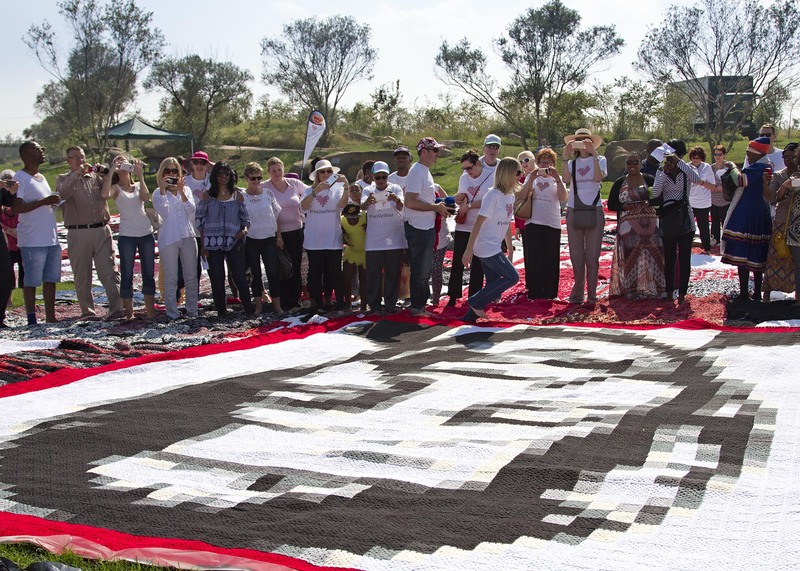 The public is welcome to join fellow KnitWits at the world-breaking event at Drakenstein Correctional Centre and bear witness to the biggest blanket in the world being laid out at such a historical place. Bring a picnic basket, a blanket and the family and enjoy this memorable day.